If you can’t find the answer to your questions feel free to give us a call on 0845 463 1342 – we’re happy to chat! What pass rate do you have for 11+ success? At Learning Academies we have a reliable (96%) pass rate prediction, meaning that we are able to offer you, as parents, a highly reliable indicator of your child’s likelihood of exam success. Not all students who pass the 11+ go on to be offered a place at the school of their choice and, whilst we can give you a very good indication of this, the exact score required to secure a place at a selective school varies from year to year and from school to school. 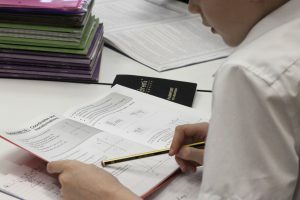 Many of our students take the 11+ ‘for the experience’ and enter the exam in order to ‘test their skills’ and experience the challenge of an external exam – without a clear certainty of success. 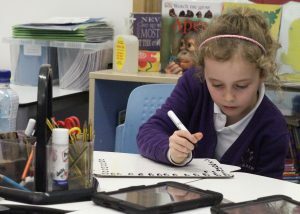 We have a fully inclusive policy at Learning Academies and, for us, the main criteria for a child to sit the 11+ should be their desire to do so. We do not deter children from taking on the 11+ just because they may not pass. When this is the case we are always honest and open about that and, in all cases, and will always ensure that the tuition undertaken will never be wasted. 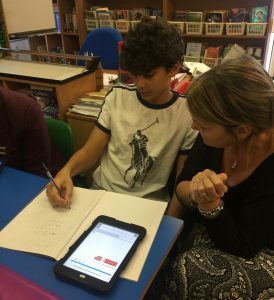 iAchieve 11+ tutoring provides a first rate platform for the selective entrance examinations but is also highly beneficial for SATs preparation and a successful transition to secondary school. We advise all parents to be wary of exaggerated ‘pass rate claims’ as this really does depend on the cohort of children undertaking the test itself. 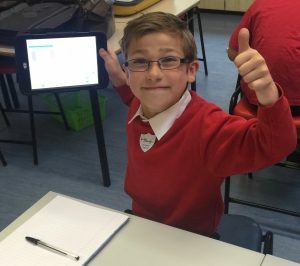 We are confident that iAchieve 11+ will exceed your expectations and will prove a to be a great opportunity for your child. My child has special education needs. Are you able to cater for this? At Learning Academies we are committed to creating opportunities for all. We recognise that all children are unique and that ‘one size does not fit all’. Matthew, our Director of Education, was previously Headteacher of a special needs school in Suffolk and, as such, his knowledge and experience of supporting children with a wide range of needs is first rate. Our tutors are all highly experienced in their field and will do all they can to support your child. 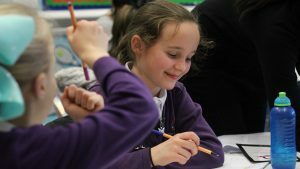 The iAchieve Extra Tuition programme offers individual tuition within a small group setting (maximum group size of 6) so we are able to develop resources and materials to suit your child’s own, specific needs. That said, we have to recognise that small group tuition is not for all. 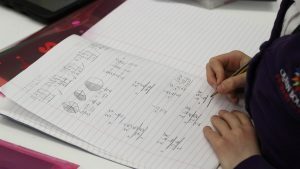 Some students with severe and complex needs are better suited to 1:1 tuition and we will always be honest and open in regards to what we can do and where our limitations lay. Please do not hesitate to give us a call to discuss your child’s needs and we will do our best to support you. 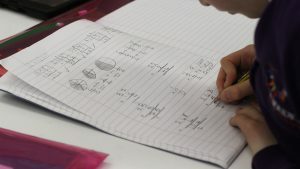 Will my child always have the same tutor? Mostly, yes! 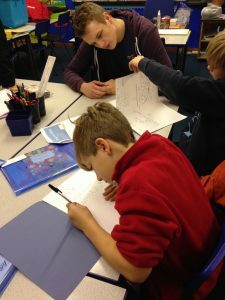 Our tutors work in small teams so at each iAchieve Centre your child will meet 2 or 3 tutors. Your child’s group will have its own specific tutor and they will very quickly build a strong and positive relationship with your child. However, from time to time, we rearrange the groups to ensure your child is placed with the person best suited to meet their needs. Our Tutor Teams know, not just their own individual students, but will also those attending the session as a whole. We know that tutoring in small groups is highly effective. Critically, it gives each student a chance to work in a supportive and progressive environment. 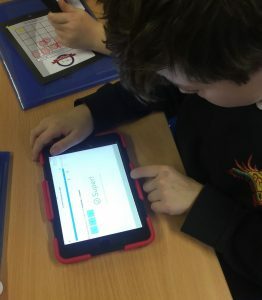 They are able to work and apply their knowledge independently as well as have focused time with their tutor to develop and explore particular skills. Our group sizes never exceed 6.
iAchieve groups are organised with consideration given to a number of factors. These include: area of study, age and ability. We also consider which of our amazing tutors would best suit your child’s style of learning and personality! Our tutor team is exceptional and they will very quickly build a strong and positive relationship with your child. What days can my child access the iAchieve Extra Tuition Programme? We’re open 6 days a week! Monday to Saturday! 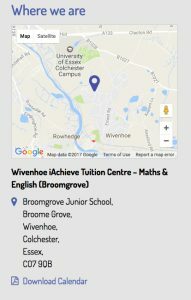 All iAchieve Centres can be found on our Home Page. Just scroll down once you land there! If you click on a Centre pin it will tell you the day that centre opens. For a ‘handy quick list’ of Centres and their days and times, just click HERE. My child lacks confidence in Maths and/or English. Can you help? Yes, for sure! As you will see from our ‘Meet the Team’ page – we have an incredible team of tutors – all of whom genuinely have the ability to nurture and encourage their students. We work hard to encourage our students to become assertive learners, confident in their abilities and willing to take risks with their learning. 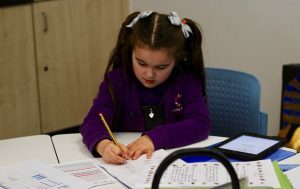 The beauty of the iAchieve maths & English tuition programme is that we are able to plan and work individually with your child – this means we have the perfect opportunity to ‘go back’ and revisit areas that they might have found difficult or simply not understood. 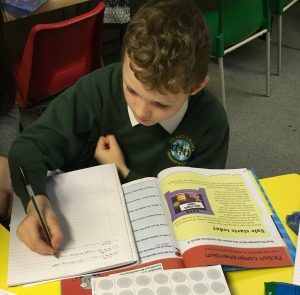 Our students work in small groups (maximum group size of 6) but each child within that group will follow their own areas of study so there is no pressure to ‘keep up with others’ – instead the children are encouraged to set their own personal goals and to work to achieve these. The iAchieve Extra Tuition Programme celebrates success and your child will soon be bringing home certificates of achievement, positive postcards home and working towards their own challenge medals. Whatever your child’s needs we will be determined to help. Please do call to talk through your child’s needs, the more we know about our new students the better. How many iAchieve sessions would you recommend a week? It really depends on your child. Most students study for one or two sessions a week. A number of our iAchieve Centres are able to offer double sessions, enabling children to stay on for an extra session with a short break between the two. Double sessions are particularly useful for students studying for the 11+ or for those that wish to do an hour of both maths and English. We recommend that, ideally, all Year 5 11+ students, study for two sessions a week. 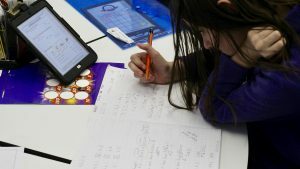 This enables us to focus one session on ‘Exam Technique’ (where students test their skills on practice and test papers) and a second session that allows the tutor to focus in on areas for development. The best thing to do is give us a call and discuss your child’s needs. We are confident we can help you select a centre that will suit their needs. How does the iAchieve programme link in with the work my child does at school? Learning Academies have excellent links with schools across the region. 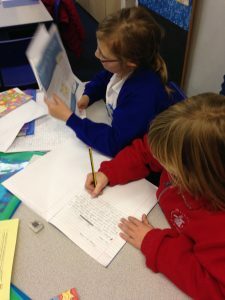 With your permission, we write to every child’s class teacher and give them an opportunity to share school targets with us. These are fed in to our own assessments and enable us to plan and deliver a programme that is perfectly matched to their needs. This joined up working enables us to maximise impact both at the Centre and, critically, back in school. Will Learning Academies use my data to market to me? We will never pass on your details to external marketing companies. 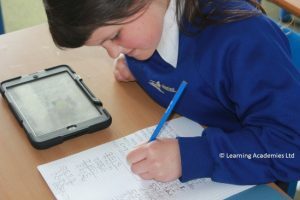 Learning Academies may, from time to time, market to you online, via email, or through other methods, depending on your choices, if we feel that there are services or opportunities that will be of direct interest to you in relation to the provision of tuition. For example, we would like to send you details of our 11+ Mock Exam Days or additional holiday tuition opportunities if we feel these are of direct interest to you. 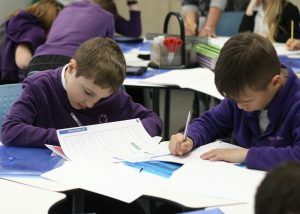 What information does Learning Academies collect about me and my family on the iAspire Programme? The iAspire Programme is our bespoke 1:1 tuition programme. We recognise fully the responsibilities you entrust in us when making a referral to our services. At all steps of the iAspire journey we take this responsibility very seriously. We only collect personal data that is directly relevant to the service you are asking us to deliver. Referrer Contact Details These are essential for communicating with you in regards to your referral. Student Details (name, school, year group, gender). This information is relevant in so far as it enables us to communicate with the correct personal pronouns in relation to your student. It helps us to plan an effective and informed assessment meeting. It also allows us to provide feedback to you if and when your student is accepted onto the programme. The type of intervention required and student availability. This is important it enables us to begin forming a good understanding of the student in hand – and, in particular, your thoughts in regards to most appropriate study location. Knowing this enables us to deliver an effective and appropriate assessment (and, where appropriate, subsequent programme). Understanding the availability of your student helps us to plan effectively. Student behaviour at home and school. Attendance levels, academic abilities, confidence, resilience and interpersonal skills This information helps us to understand your perception of the student and to better understand their needs and situation. This information is reviewed alongside the young person’s own perceptions to gain as complete an understanding as possible. Risk Factors It is important for us to be aware of any risk factors associated with the student and/or their living environment to ensure that the staff attending assessments can do so safely and with full regards to any control measures that should be taken. Name This is essential for communicating with you in regards to your referral. Personal assessment of Skills, interests, favourite subjects, behaviour, attendance, confidence and resilience. This information helps us to understand the perceptions of the student and to better understand their needs and situation. This information is reviewed alongside the referrer’s perceptions to gain as complete an understanding as possible. Preparedness to work By understanding the student’s motivation to participate we are able to gauge the relevance of the programme to the student. Rewards, motivators and obstacles By understanding the motivators and obstacles to learning we are able to plan an effective tuition programme. 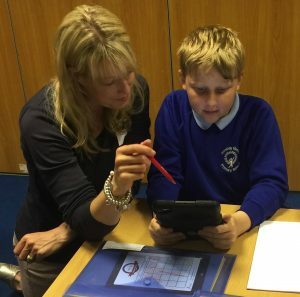 Tutor Notes Tutors record progress and activities completed in a range of formats, dependent on platforms used. We use this information to plan the next session’s work. What information does Learning Academies collect about me and my family in relation to the 11+ Mock Exam Days? At Learning Academies we understand that your privacy is important to you and that you care about how your personal data is used and shared online. 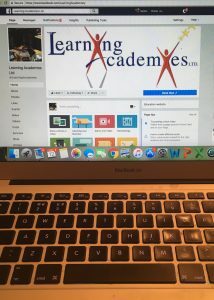 We respect and value the privacy of everyone who comes in contact with our company including those who visit our website; www.learningademies.co.uk (“Our Site”) as well as those who access our tuition services via third party service providers such as Eventbrite. The vast majority of 11+ Mock Exam Days are booked via Eventbrite. If you have any concerns in relation to your data please contact Learning Academies on 0845 463 1342. Similarly, If you are not able to accept the terms and conditions of Eventbrite then please do call or email us to arrange for an alternative means of booking. The security of your payment information is first rate. Learning Academies use a Direct Debit payment scheme processed by GoCardless. GoCardless is authorised by the Financial Conduct Authority under the Payment Services Regulations 2009, registration number 597190, for the provision of payment services. GoCardless is a BACS approved bureau. For online bookings, You will be passed to a secure Direct Debit page, via our website that is hosted by GoCardless where you will be asked to complete your account details to finalise your booking on the Learning Academies Programme of your choice. Once completed You will be taken back to a confirmation page on the Learning Academies website. You will receive notification from Go Cardless to confirm that your Direct Debit Mandate has been set accepted. You will also receive a second notification from Go Cardless to confirm the payment schedule set up for your child’s tuition. Notifications are sent by Go Cardless 2-3 days prior to any payments being taken. You can cancel a Direct Debit payment at anytime before a payment is due to be made. However, if Your Direct Debit is cancelled it is not possible to reinstate it, unless a new Direct Debit mandate/subscription is agreed. Referring Organisations are invoiced, monthly in advance, for the tuition being offered. Payments are then made by the purchasing organisation, generally by BACs. 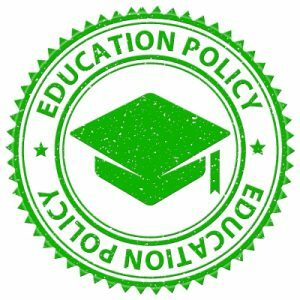 How long will Learning Academies keep my data? 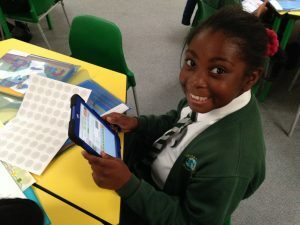 We will keep each student’s data until such point as they leave the iAspire Programme. Upon departure from the programme we will transfer and relevant data to the referring organisation or the organisational body they choose to nominate. How am I able to delete information about me? You have the right to withdraw your consent to Us using your personal data at any time, and to request that We delete it. To withdraw your consent you should email info@learningacademies.co.uk. In addition, when you submit personal data via Our Site, you may be given options to restrict Our use of your data. In particular, We aim to give you strong controls on Our use of your data for direct marketing purposes (including the ability to opt-out of receiving emails from Us which you may do by unsubscribing using the links provided in Our emails and at the point of providing your details). We will never send you ‘general marketing’ and commit to sending only information and opportunities that are relevant to the tuition service you access. Where can I find a copy of your company policies? At Learning Academies we have a range of policies that are designed to ensure your child experiences a first rate tuition service. These cover a range of areas and are listed below. 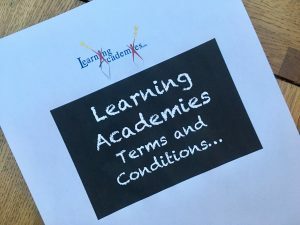 If you are a customer of Learning Academies and wish to request a copy of any of our policies please just email info@learningacademies.co.uk and include the policy reference that you require. Where can I find a calendar with the tuition dates for the year ahead? This year’s calendar for each iAchieve venue can be found beneath the map and address for each centre. This can be downloaded and printed as a PDF by following the relevant link. To find your centre click HERE and choose the relevant Tuition Centre and, once you’ve found that, choose your programme of study (maths & English or 11+). That will take you to the relevant page. All you need to do then is follow the link below the address. What if I find I can’t pay my fees? The majority of our customers opt to pay their fees by Direct Debit using our secure collecting service, Go Cardless. You will be notified by Go Cardless in advance of each Direct Debit payment leaving your account so full control over your payments stays with you. If Go Cardless are unable to collect your agreed fees they will notify you, as the customer and us as the service provider. We will make contact with you and can action a ‘retry’ if you would like us to try again. Learning Academies is committed to working in partnerships with our families and we ask that, should you experience difficulties in paying your child’s fees, that you contact us to arrange a mutually agreeable payment schedule. We do not allow accounts to fall more than 2 payments (2 months) behind, unless by prior arrangement. So, please do contact us if you are experiencing difficulties. We’ll do our very best to work with you. Is Learning Academies VAT registered? We are a Ltd Company registered with Companies House as Learning Academies Ltd. We are registered in England under Company Registration Number 6206322. Our VAT number is 174498369. Our registered office is at Academy House, 39 Hazel Close, Thorrington, Essex, CO78HJ. All prices on our websites are inclusive of VAT. How do we pay for our child’s tuition? Payments for iAchieve Extra Tuition are generally made via Direct Debit. The annual cost of tuition is split equally over 12 months to make payments manageable and consistent for you as parents. This is the same for our Term Time Only students as well as for our Full Year students. This means that Term Time Only students pay a share of their annual fee in August but do not study. Payment for tuition fees is due monthly in advance. Your first payment will be due on or before your child’s first session and then, on or around the same date each month thereafter. At Learning Academies we use a Direct Debit payment scheme processed by GoCardless. GoCardless is authorised by the Financial Conduct Authority under the Payment Services Regulations 2009, registration number 597190, for the provision of payment services. GoCardless is a BACS approved bureau. Once you complete your booking form online you will be passed to a secure Direct Debit page on our website where you will be asked to complete your account details to finalise your booking on the iAchieve Programme. 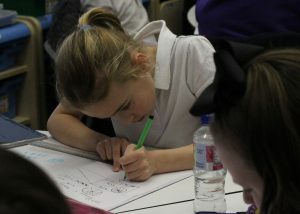 Once completed You will be taken back to a confirmation page on our Learning Academies website. You will receive notification from Go Cardless to confirm that your Direct Debit Mandate has been set accepted. You will also receive a second notification from Go Cardless to confirm the payment schedule set up for your child’s tuition. Notifications are always sent by Go Cardless 2-3 days prior to any payments being taken – so you remain in complete control. Please rest assured, you can cancel a Direct Debit payment at anytime before a payment is due to be made. However, it is worth noting that if your Direct Debit is cancelled it is not possible to reinstate it, unless a new Direct Debit mandate/subscription is agreed. If you need to change any payment or the date of payment please contact us and we will do our best to help. Just call 0845 463 1342. If you change your bank / current account provider you should ask your new bank to switch your existing Direct Debit over to your new account to ensure instalments are not missed. Go Cardless’ Direct Debit scheme is protected by the Direct Debit Guarantee which protects You against payments made in error or fraudulently. It also means that you can get a full and immediate refund from your bank for any payment taken in error.